This one is for a Gosling that is hatchling (just hatched) size and for a short time after, (duckling size B) it will fit your gosling for a few weeks. It is very adjustable. 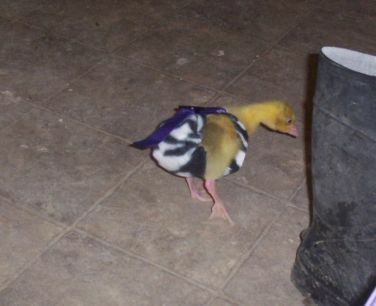 Our Embden, the fastest growing of the goose breeds wore this size at 3 weeks. See photo for color. They grow so fasssssst! If it arrives and it would be a bit too big, wait a day or two (literally) and try it on your baby goose again. 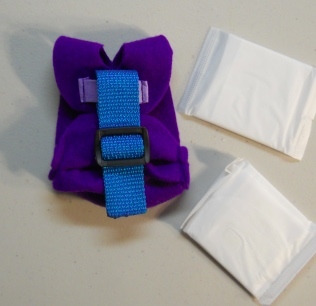 The Goose Diaper Holder comes to you with two Pantie Liners to get you started.